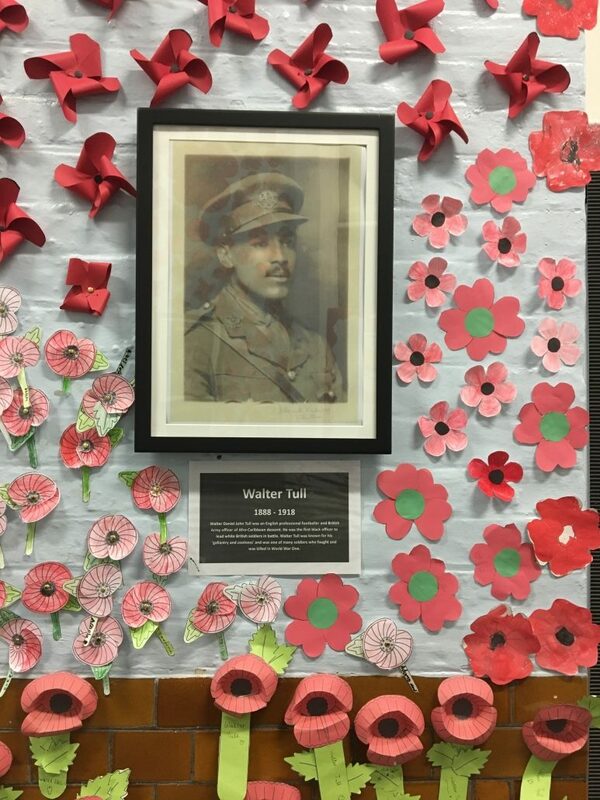 To commemorate 100 years since the end of World War One, every pupil in the school made a poppy to display around our portraits of Walter Tull and Albert McKenzie. They learned more about the heroic efforts of these young men and how they were among the hundreds of thousands who lost their lives at a young age. 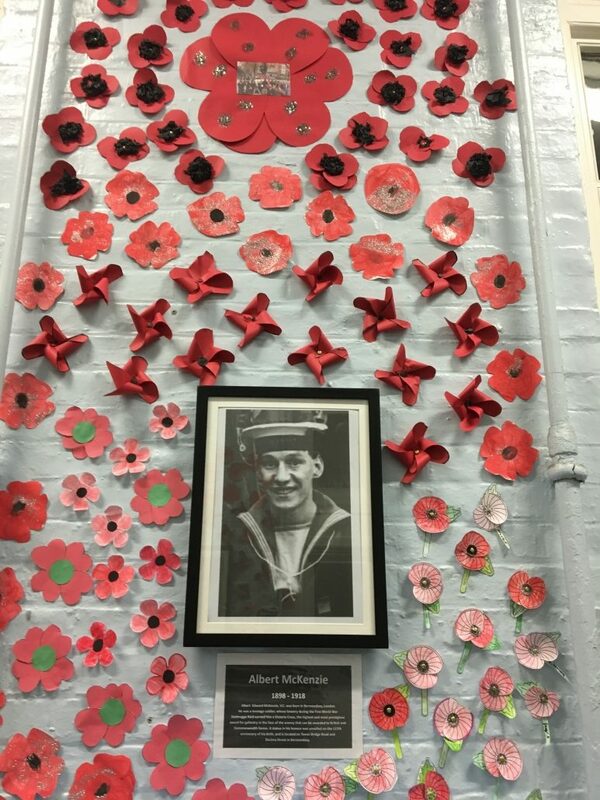 The children were told of why we now wear poppies as a sign of remembrance.